Risknowlogy Argentina performed a functional safety project and SIL lifecycle services for a large South American Gas Transportation company. The project lasted 12 months and during that time Risknowlogy Argentina supported the client with HRA, HAZOP, LOPA, SRS, SIL equipment selection and basic engineering. At the end of the project the client had a well document safety study which can be used with third parties like insurance companies and governments. Furthermore the client had a clear path forward to manage future risks associated with the process. Congratulations to our 42 new TUV Functional Safety Professionals in IEC 61508, IEC 61511 or ISO 26262. The following professionals participated in our SILComp® program and got TUV SUD certified. 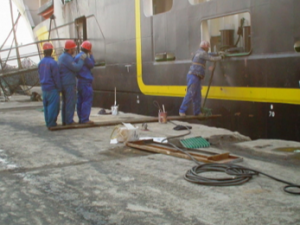 They all met the eligibility requirements: Formal training Demonstrating the knowledge by passing the associated exam 6 Years of practical experience Not only did they demonstrate their competence in functional safety and SIL. But, all of them are now Risknowlogized and became our latest Safety Ambassadors. 42 new TUV Functional Safety Professionals You did it! You have survived and passed our course, and have now become our latest Risknowlogy Safety Ambassadors. Congratulations! Risknowlogy, in cooperation with TUV SUD, certified 28 new TUV functional safety professionals in IEC 61508, IEC 61511 or ISO 26262. Congratulations to our latest Safety Ambassadors. Mandar Phadke, our Managing Director of Risknowlogy India was a guest speaker at the 20th IET TechDias Event. He gave the audience an introduction into SIL and Functional Safety. The IET Mumbai Network invited him as the only speaker that night and it was a very successful event. Risknowlogy, in cooperation with TUV SUD, certifies 17 new Functional Safety Professionals. Congratulations to all on this major achievement. The Indian government has taken some bold decisions to improve safety in India. Directors of state owned companies are now personally responsible for accidents. This is a very good decision and should actually be applied to any company in any part of the world. Learning from accidents – History repeats, again. Horrible accidents have happened in the past. We learned a lot from them. Yet history keeps repeating. 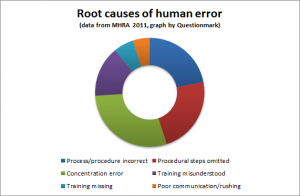 Are we really learning from accidents? It does not look like it. Check out how the Piper Alpha accident and the Triangle Shirtwaiste Factory accident are repeating themself. This fire department clearly has their own hazards and risks to deal with… This country is apparently so unique that the fire department needs to protect themselves against those car drivers that think they own the tracks. Must be a unique problem to have in the world. Well solved though…. Risk prevention measures at its best. Interested in becoming a TUV functional safety engineer or professional? Not sure if you have the knowledge? We just released twenty TUV Test questions for you to test your knowledge in IEC 61511. Please congratulate the following Risknowlogy trained, TUV SUD certified, new Functional Safety Professionals: Klemens Kordik Clemens Saur Maktoem Slaim Al Hamdi Saud Hamdan Aldhouyani Jose Joe Palniappan Padmanabhan Kevin Cross Kirk Herfurth Thomas Mende Ludwig Rossmeier Oliver Salomon Wolfgang Schweiker Axel Schwender Matthias Skalitz Hans-Jörg Wagner At Risknowlogy we help you increase your professional competence. Want to get trained yourself and get your competence certified? Click here. The RISKNOWLOGY office in Dubai is our hub to the Middle East. Dubai represents a multi cultural exiting growth environment. We fully support and are 100% convinced that Dubai will host EXPO 2020. RISKNOWLOGY is a EXPO 2020 Dubai bid supporter. Please congratulate the following Risknowlogy trained, TUV SUD certified, Functional Safety Professionals: Dennis Culver Hao Ding Harald Blanco Ortega Jean-Francois Polard Roger McDaniel Ramiro Boroja Paz Saeed Al Jabri Sajeer Kalandan Syed Mohamed Buhary Zhou Yaqiong At Risknowlogy we help you increase your professional competence. Want to get trained yourself and get your competence certified? Click here. Congratulations 2 times. Klay Instruments achieved Risknowlogy SIL 2 certification for both the 2000 and 8000 series including Hydrobar-Cable. The 2000 and 8000 series can be used as pressure and level transmitters. These are the first Klay Instrument SIL certified products.